Erectile Dysfunction (ED) affects a large fraction of the male population more than they know, as ED occurs along with a number of medical conditions. The study “Lack of awareness of erectile dysfunction in many men with risk factors for erectile dysfunction” by Shabsigh (2010) presents the case that prevalence of ED in men is high and that the dysfunction is the underlying disease in a number of health conditions . The study suggested the need for all ED patients to get treated regardless of their knowledge/awareness of ED. ED is the main reason why Sildenafil Citrate (SC) drugs were developed—to help patients suffering from ED. The drug came a long way since its accidental discovery as an erectogenic drug instead of functioning as an antianginal drug ; today, aside from the famous Viagra, pharmaceutical companies manufacture generic analogs of the drug which are the same in effectiveness but are more affordable. Ajanta Pharma is one of the companies whose focus is the manufacture of high-quality products like its “Kamagra” brand famous for its success as SC treatment for ED. One of the products included in Ajanta Pharma’s Kamagra brand is the Kamagra Oral Jelly, which are fruit-flavored gel sachets containing 100 mg of Sildenafil each . According to the vendor information, the product acts faster  than the regular pill due to its gel form, as it only takes 30-45 minutes to function, but has an effect lasting about 4 to 6 hours, and reportedly (in some cases), more than 6 hours . This unconventional form of Sildenafil may become popular in the market for ED products, as it offers variation from the monotonous hard pill types. Ajanta Pharma Limited’s company profile states that it specializes in bringing clients “specialty products” which are tailored depending on the market it supplies the products to . For instance, the company tailored its products in for India in the areas of dermatology, ophthalmology, cardiology, and pain regulation/management. Aside from concentrating on developing and innovating in these areas, Ajanta also has products which are the 1st of their kind for those areas of study . For international markets, the concern of the company had been on General Health products, Anti-Biotic, Anti-Malarial, Anti-Diabetic, Orthopedics, Pediatric, Cardiology, Gynecology, and Respiratory . Countries served by Ajanta in Emerging markets include those found in Asia and Africa. The company also customized its service depending on its perceived need of the market it caters to ,. More of the company information relates that in a short span of time, it already rose as the 5th largest pharmaceutical company (IMS) in Franco-Africa, and has already been one of the top companies in the Philippine market . 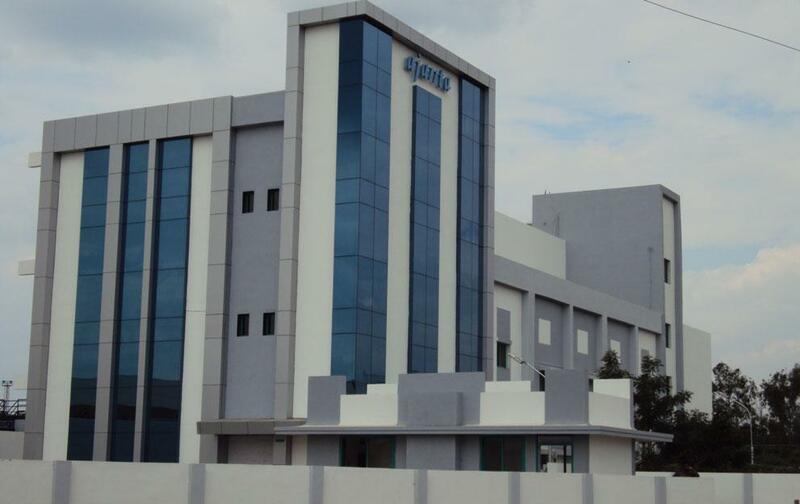 Aside from being an emerging force in the international market, Ajanta Pharma also is a well-certified company with a number of accreditations like the US FDA accreditation for its major facility in India. Aside from that, it is also deemed WHO-GMP compliant and has designed its facilities to comply with the manufacturing modalities employed by USFDA and WHO-GMP approved systems. Aside from Sildenafil Citrate (SC), there are actually other famous treatments meant for ED like Vardenafil and Tadalafil. All are deemed effective in treating the dysfunction and preference is one of the factors affecting the treatment options for ED. In the study “An open-label, multicentre, randomized, crossover study comparing sildenafil citrate and tadalafil for treating erectile dysfunction in men naïve to phosphodiesterase 5 inhibitor therapy” by Eardley et.al. in 2005, both SC and Tadalafil proved effective and well-tolerated by the 291 participants in the after the 8-week extension of the study . Although both SC and Tadalafil were in treating ED symptoms in patients (as measured by International Index of Erectile Function/IIEF and Sexual Encounter Profile/SEP diary), more patients preferred Tadalafil over Sildenafil . The only reported adverse effects reported for both drugs are headache and facial flushing . Albeit Tadalafil was preferred over SC, the results did not discount that SC is still an excellent agent for treating ED. Since SC’s effect on patients is mainly on the male reproductive system, it did not have any negative effect on sperm motility, sperm count, sperm density, abnormal sperm percentage and living sperm percentage, as determined by the study of Purvis et.al (2002) entitled “The effects of sildenafil on human sperm function in healthy volunteers” . The clinical study, which was a double-blind, randomized, four-period, two-way crossover study aimed to determine if SC had any significant effect on SC users’ sperms. Results showed that SC did not affect the mentioned aspects of sperm in the users. Also, SC did not have any statistically significant effect even on the ejaculate’s volume and viscosity . This means that SC users do not have to worry about their sperm counts/sperm and ejaculate quality while using the drug, as SC did not have any effect on the mentioned areas of concern. As for the areas of delivery for SC, research by various authors continues to explore the alternative oral delivery systems for the drug as there is the existence of certain patient populations with difficulty in swallowing the hard pill form of the drug. There had been recent developments for ODTs or Orally Disintegrating Tablets in the market, and the study, “Pharmacokinetics of a novel orodispersible tablet of sildenafil in healthy subjects”, aimed to study the bioequivalence of ODT in the presence (or absence) of water against the known bioequivalence of film-coated oral SC tablets . Results showed that ODT is bioequivalent to the coated SC (either with or without water) and may be recommended as another means of SC administration, and a more convenient one . The reaction of ODT was also determined after the intake of a fatty diet, and the research concluded that ODT is more effective when taken on an empty stomach . Since the results of the orally dispersible tablets are established, other means of oral delivery of SC are well-considered as an alternative for the conventional “hard” pill. This may be the rationale behind Ajanta’s Kamagra line of products which includes drugs like Kamagra Oral Jellies and Kamagra Soft Pills which offer a much easier delivery method but without sacrificing the effectiveness of the drugs on the patients. The study conducted by Eardley et.al. in 2002 (“Onset and duration of action of sildenafil for the treatment of erectile dysfunction”) described SC as a mediator of erection in patients via a nitric oxide (NO)-cyclic guanosine monophosphate (cGMP) pathway . Being selective and powerful inhibitor of cGMP-specific phosphodiesterase type 5 (PDE5) found in large amounts in the penile corpus cavernosum, SC enhances penile erection via the natural NO-cCGMP mechanism brought about by sexual stimulation . This action of SC is the one responsible for the vasodilation/smooth muscle relaxation of the corpus cavernosum, which results to erection and sustainability of the erection as the cGMP remains un-disintegrated by PDE5. Sildenafil Citrate mechanism leads patients to expect sustained erections after taking the drug, given the presence of foreplay or any type of sexual stimulation. Since SC is indicated to patients suffering impotency, it is expected that patients may have relief from their ED symptoms and maintain their erections . There is an emphasis on the existence of “sexual stimulation” for any SC-containing product to work, as the release of the neurotransmitters is also mediated by the existence of sexual stimuli. The usual recommended dosage patients are given for SC-mediated ED therapy is 25-100 mg, which depends on the general medical condition of the patient the therapy is administered to. Effects may be noticed within 30 minutes of intake, and for some, as fast as 12 minutes, and the effect may be maintained for at least 4 hours . As for Kamagra Jelly, the recommended intake is 1 sachet about 30-45 minutes before any sexual activity. The dose initially prescribed for healthy makes is 50 mg, but may be decreased or increased as per physician advice . Its known erectile effect lasts about 4 hours too , like the standard duration established for SC tablets. As mentioned earlier, participants for SC and Tadalafil clinical trials experienced (at most) side effects of headaches and flushing . Kamagra Oral Jelly labels indicate that patients may experience side effects like nasal congestion, indigestion, dizziness, and visual disturbances aside from the first two mentioned side effects . Label warning for the Kamagra jelly also prohibits clients to use their prescribed nitrates, beta -blockers and oral hypoglycemic agents , as they are known to interact with SC and cause physiological harm to the patient. For better knowledge of the drugs contraindicated for SC, patients should consult with their doctors before taking SC for their ED. There is actually a long list of medications generally contraindicated for SC, but most of them are from the nitrate family . Nitrates are contraindicated for SC for the fact that they lower blood pressure  which is also the action of SC. Two drugs both lowering blood pressure on patients may cause a detrimental effect. Examples of drugs contraindicated for SC are atazanavir, cobicistat, elvitegravir/cobicistat/emtricitabine/tenofovir df, isosorbide dinitrate, isosorbide mononitrate, nelfinavir, nitroglycerin iv, nitroglycerin (oral), nitroglycerin rectal, nitroglycerin sublingual, and much more . are available for Sildenafil Kamagra Oral Jelly for ED treatment. Clients/patients seem to receive the product well, given its ease of intake. Alldaychemist.com reviews for Ajanta’s oral jelly is reflective of satisfaction on the patients’ end, as the reviewers commented on how the product was effective and potent. The same can also be said regarding the reviews from Erectiemiddelenshop.nl—the users were well-pleased with how the product easily worked for them. One reviewer even commented that the Kamagra Oral Jelly was easier to use and had a faster effect than the standard pill. The user said that the oral jelly took effect in about 10 minutes, as opposed to the hour-long waiting time for the regular pill. The same user mentioned that he did not have any reactions/side effects from oral jelly, unlike when he took the regular pills. Other reviewers from the same site, Erectiemiddelenshop.nl also gave their good testimonials for the oral jelly. However, one user commented that he had a headache when he took the product. Other than that, the reviews were all appreciative towards the drug’s effect. Based on the client comments, it is possible that Kamagra Oral Jelly is also a good option for ED treatment, since its oral administration is by far, easy, and the flavors make it more tolerable than the regular pill type. Vgraustralia.com sells Kamagra oral jellies for at least $70.55 for 20 sachets of the 100 mg variant. Compared with the brand-name pill, this pricing is relatively affordable, but not really the cheapest, as there are still other internet pharmacies able to offer cheaper pricing for Ajanta’s oral jellies. There is really no fixed market price for these jellies, as prices depend on the seller’s discretion. 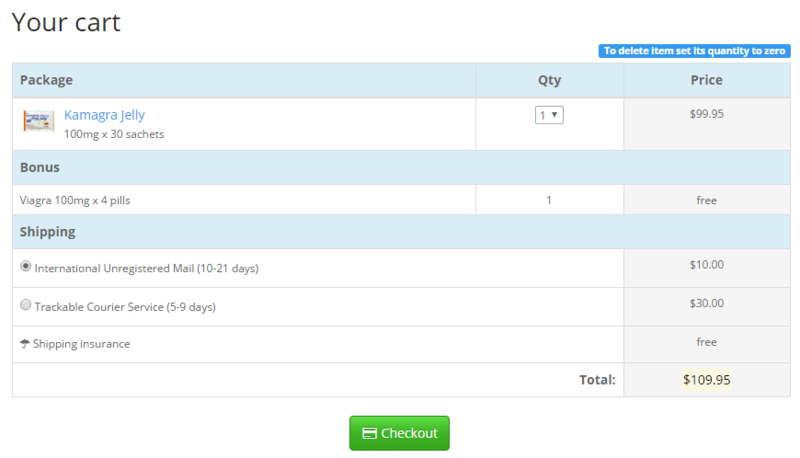 Sellers sometimes ship medications for free, when the buyers reach a certain amount when purchasing the products. But usually, international shipping costs $10-$25 (sometimes even more or less) for the regular Airmail delivery and about $30 for the Traceable service. Examples of the shipping price may be found in the illustrations above. But then, seldom are there internet pharmacies charging for the weight of the products or the destination country; they usually charge depending on the courier speed. Sildenafil Citrate (SC) continues to be a trusted treatment for (Erectile Dysfunction) ED in patients although recent studies show that other PDE5 inhibitors like Tadalafil are preferred over it for the duration of erections given. But that does not discount the fact that SC remains an effective treatment for ED in patients suffering from the dysfunction. If patients are concerned about the effects of SC to their sperm physiology, they should not be, as a study was able to determine that SC did not have any significant effect on the SC users’ sperm motility, count, morphology, activity, and even in their ejaculate density, which is actually good. Since SC oral administration had kinks and some patients are having difficulties taking in the regular hard pill form, a study also covered the effectiveness of orally dispersible tablets as a means of SC administration. The study was able to determine that the ODTs have the same effectiveness and bioavailability as the hard pill and was able to resolve the initial concerns for the hard pill types. That research paved a way for the consideration of other oral administration types for SC like the Kamagra Jelly from Ajanta, which was well-received and well-tolerated by patients who were able to try it. Positive reviews were available for the new SC pathway, with patients noting the same effectiveness, but with fewer side effects. 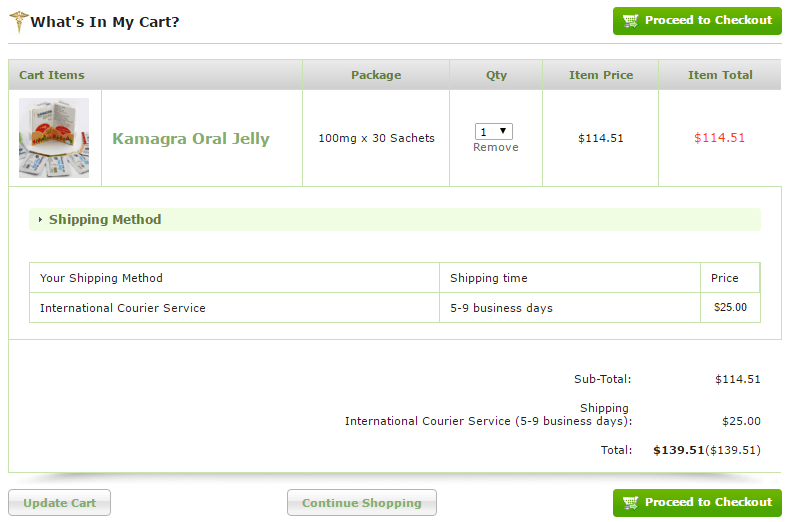 All in all Kamagra Oral Jelly is a powerful and effective generic option for SC and may be rated 4 out of 5. I think the product is good enough substitute for Viagra and the other expensive ED medication, and it may also be beneficial for patients eager for a more pleasant-tasting substitute for the hard pills. Shabsigh R, Kaufman J, Magee M, Creanga D, Russell D, Budhwani M. Lack of awareness of erectile dysfunction in many men with risk factors for erectile dysfunction. BMC Urol. 2010; 10: 18. Available from: [Accessed 30th November 2016]. Kamagra Oral Jelly (Sildenafil Citrate). Available from: [Accessed 30th November 2016]. Branded Generics Business. Available from: [Accessed 30th November 2016]. Ajanta Pharma Philippines Inc. Home. Available from: [Accessed 30th November 2016]. Eardley I, Mirone V, Montorsi F, Ralph D, Kell P, Warner MR, et.al. An open-label, multicentre, randomized, crossover study comparing sildenafil citrate and tadalafil for treating erectile dysfunction in men naïve to phosphodiesterase 5 inhibitor therapy. BJU Int. 2005, Dec; 96(9):1323-32. Available from: [Accessed 30th November 2016]. Purvis K, Muirhead GJ, Harness JA. The effects of sildenafil on human sperm function in healthy volunteers. Br J Clin Pharmacol. 2002; 53 Suppl 1:53S-60S. Available from: [Accessed 30th November 2016]. Damle B, Duczynski G, Jeffers BW, Crownover P, Coupe A, LaBadie RR. Pharmacokinetics of a novel orodispersible tablet of sildenafil in healthy subjects. Clin Ther. 2014, Feb 1; 36(2):236-44. Available from: [Accessed 30th November 2016]. Eardley I, Ellis P, Boolell M, Wulff M. Onset and duration of action of sildenafil for the treatment of erectile dysfunction. Br J Clin Pharmacol. 2002 Feb; 53(Suppl 1): 61S–65S. Available from: [Accessed 30th November 2016]. Sildenafil for erectile dysfunction (Nipatra, Viagra, Vizarsin). [Accessed 30th November 2016]. Sildenafil (Rx) (Interactions). Available from: [Accessed 30th November 2016]. Nitrates (medication). Available from: [Accessed 30th November 2016].